There's nothing like an amazing view to inspire you to book your next trip. Vietnam has been named among the most beautiful countries in the world, according to a list released by Rough Guides, a UK travel guidebook and reference publisher. “From the impressive rock formations of Ha Long Bay to the terraced fields of mountainous Sa Pa, Vietnam has a huge wealth of easily accessible natural beauty,” Rough Guides wrote. Its cities are alluring too, whether you prefer the modern skyscrapers of Ho Chi Minh city or the appealing contrasts of Hanoi. Vietnam is a country on the move. Just 40 years since the end of the American War the country has rebounded with vigour. Direct flights arrive from cities worldwide, roads are being upgraded, new hotels are springing up and Vietnam’s raucous entrepreneurial spirit is once again alive and well. Scotland tops the list, followed by Canada, New Zealand, Italy, South Africa, Indonesia, England, Island, the US, Wales, Slovenia, Mexico, India, Finland, Switzerland, etc. Earlier, Vietnam has been named among the best destinations that you aren’t wasting too much time on travel, according to a list released by The Economic Times, an English-language, Indian daily newspaper. Thereafter, head over to mountains of Cao Bang for pristine air and untouched landscape. Con Dao islands’ reef and coves, Mekong Delta’s backwaters and the national parks are some other iconic points,” The Economic Times wrote. 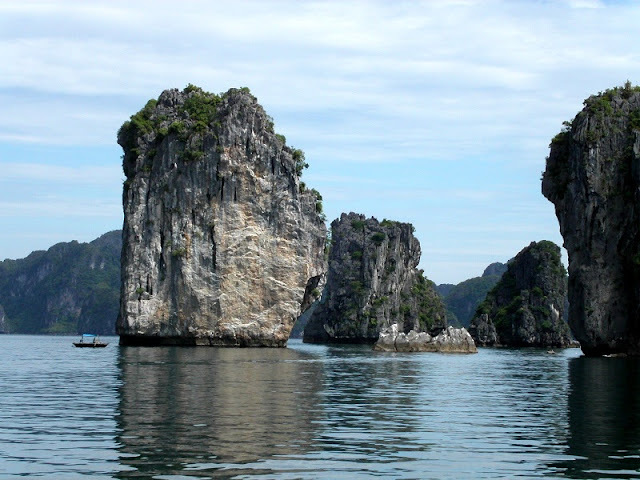 Apart from these cultural influences, marvels at the modern day wonders of Vietnam are worth seeing as well. Visit the recently unveiled Golden Bridge, a 150-meter long pedestrian bridge, near Da Nang, Vietnam.